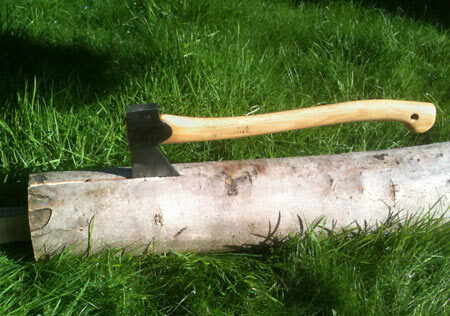 Just wanted to drop you a line to say thanks again for sorting out the Wildlife Hatchet Axe Head for me. 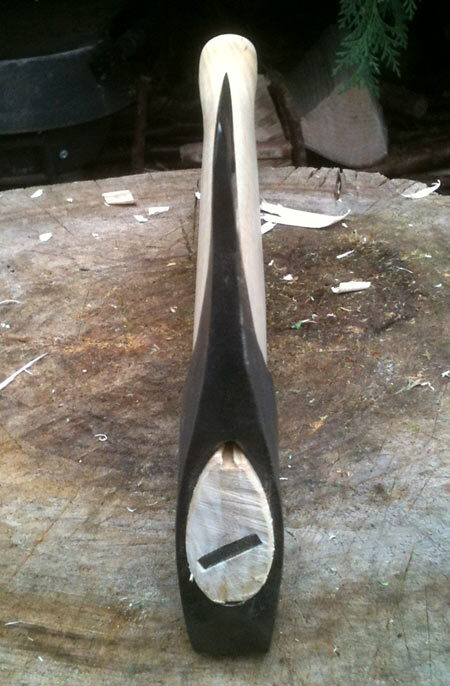 It took a little while to source some suitable Ash and to shape the handle, but below are some pictures. 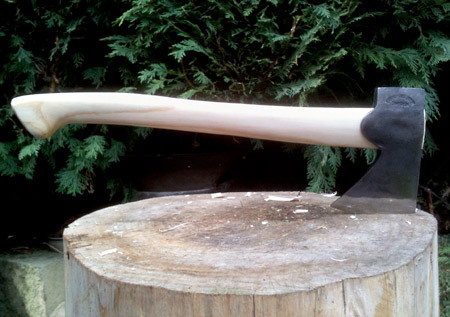 The axe head is a really high-quality item and was a pleasure to work with. 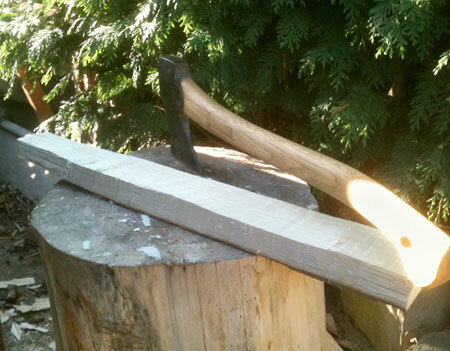 My Small Forest Axe (issued on the Camp Craft Course) made light work of the job of splitting the Ash log I had. 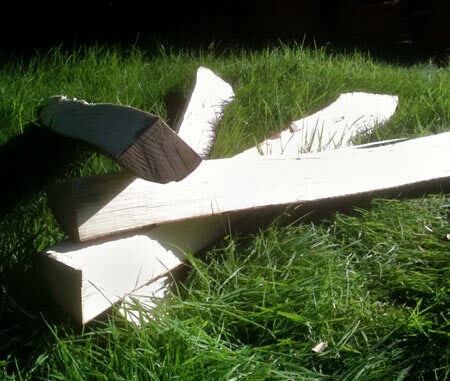 The wedge is the Holly Glut I made on the course also, so it’s now served use again. Once in half I split them down into quarters, which gave about the right size I felt to work with. In retrospect, I may have been better splitting it into 1/6 rather than 1/4, but we learn by doing. I then worked one of these down to a suitable-sized board. It was hard work as the Ash was seasoned and not green! 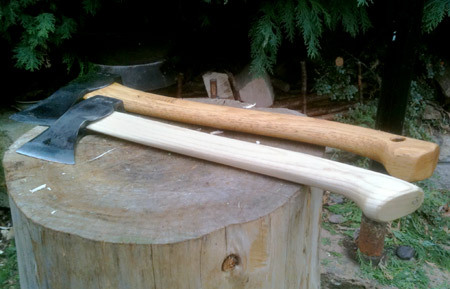 I used the existing Small Forest Axe as a guide to mark out a handle, with some slight tweaking and roughed out the shape. With the axe, crooked knife and carving knife I set to carving the basic shape I wanted; then lots of trial fitting of the head and taking this down to fit. Getting the alignment right also took some time, but with practice this would get easier. 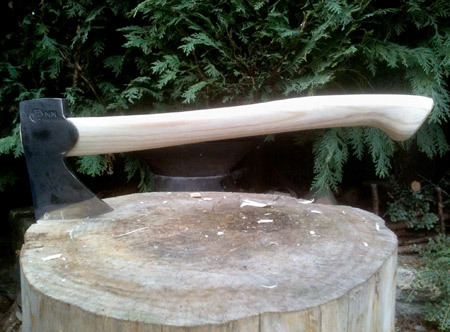 The finished axe – it took a lot of shaping to get it to fit the head right and to fit my hand how I wanted it. I see improvements I would make next time and mistakes I would try and avoid. However, I think it turned out quite well. Lots of scraping to get a smooth surface and a boiled linseed oil finish. It’s got an Oak Wedge with a metal wedge across this. 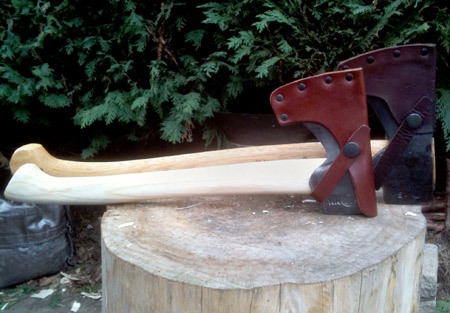 The two axes side by side – the Wildlife Axe has a 40cm length in total and feels really light and easy to use. It will be great for light carving jobs, spoons etc. 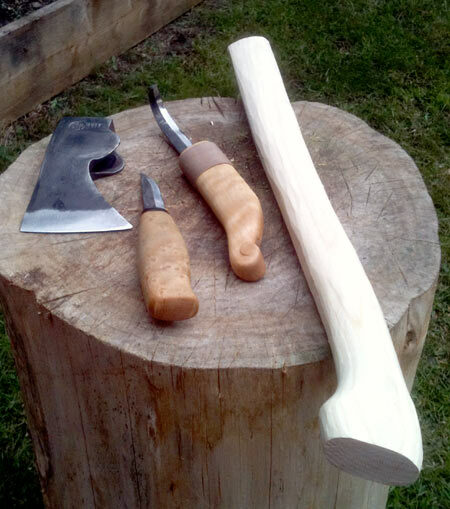 Just again to say thanks for all the help in sourcing the axe head. A big thanks to Ray as well for inspiring me to have a go, with the great Northern Wilderness series. The problem now is wanting to do more and learn more each time. I have three more sections to play with and if I ever need to source more I will definitely look for green wood. 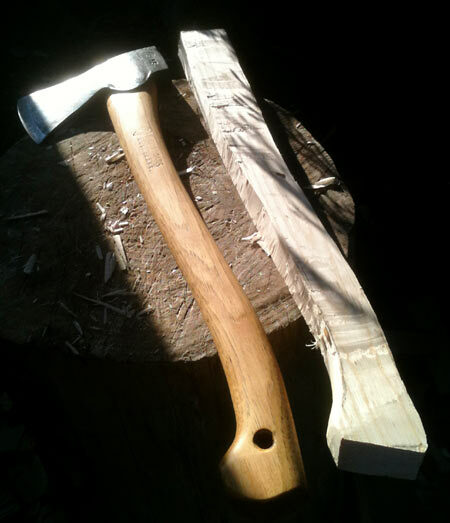 That said, using seasoned shortened the time I had to wait before fitting the axe head. Thanks Woodlore – all of you. This entry was posted in Bushcraft Clothing & Equipment, Bushcraft Tips & Guides, Customer Posts on January 31, 2011 by Woodlore Team. Hi. That looks fantastic. I’ve fitted quite a few off the shelf handles to cheap old axes as practice for making and fitting a custom made one to my favourite axe. I got some great tips from a youtube channel called ‘Wranglerstar’. Some good tips on getting the eye filled with wood without gaps. You have inspired me to start the one from scratch. Thanks for the comments. It took longer than I expected, but it was a lot of learning for the first one. Splitting the log did not take too long. Making a board and shaping the rough shape however took several hours and was heavy on the wrists, as the log is seasoned and very hard. Final shaping of the handle was very satisfying but took a couple more hours at least. Getting the head to fit then took a while longer, shaving to fit. Scraping smooth and oiling just take time between coats for it to dry. The handle is a great shape and I love the feel and balance. However I feel I could do better on the fitting of the axe head. It’s difficult betting a snug fit to pass through the eye, but then to flare out to support the cheeks and look totally neat. It turned out well, but I want to try again – problem is I don’t want to destroy what I’ve done already. I know what you’re saying about the Wilderness Axe. Its hand made, small numbers, so no economy of scale like the rest of the range. That makes it expensive. It’s like the trade axes they sell which are massively expensive. But its small numbers again. That’s the axe head I would have loved to have tried, as in the Northern Wilderness Series, but the cost puts it out of my league. My only problem with the Wilderness Axe is that you can get the SFA or FA for less and they sit either side of this axe. I just could not justify it. 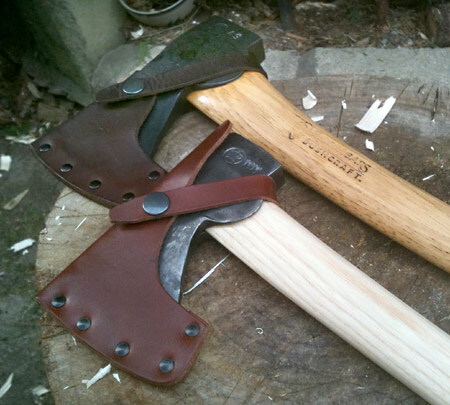 If I worked with an axe all the time then its worth paying for good tools. Was wondering on how long it took you to get to the finished product, it would maybe answer a few comments on axe prices in previous articles! Nice axe handle, and the knife handles look good too. Thanks everyone for the great comments. Sad but I’m planning to rough out a spare handle for practice. Very nice job, and it looks really good. Appreciate you sharing in detail how you did the work. May make it a little easier for someone else to start a similar project. Wow, Fantastic job on the handle Martin! Great great photos also, Thanks for sharing!